Our office handles cases involving personal injuries and/or wrongful deaths, including, car accidents, tractor-trailer accidents, work place injuries, product liability, medical malpractice, and other civil claims that individuals may have against individuals, insurance companies, and corporations. When an individual is injured by the negligence of a corporation or other individual, the injured party may have the right to compensation for their injuries. 1. Car Accidents: Car accidents are common occurrences. 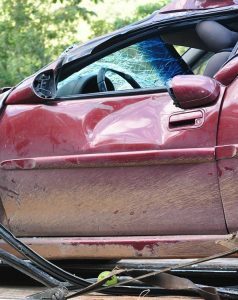 Often a car accident takes place, and individuals believe they are unhurt immediately following the wreck. Unfortunately, it is common to begin experiencing physical issues that are related to the accident weeks or sometimes even months later. These physical limitations can be extremely severe and sometimes permanent, even when they aren’t obvious at the time of the accident. The seriousness of these injuries could lead to significant financial losses. 2. Tractor-Trailer Accidents: Accidents with tractor-trailers are often devastating and need careful review and research to ensure success against the trucking company. Cases involving tractor-trailer wrecks require extensive knowledge of the Federal Motor Carrier Safety Act and regulations that apply to truck drivers and trucking companies, as well as state laws applicable to trucking companies and truck drivers. 3. Workplace Injuries: Serious injuries often occur in the workplace. While workers’ compensation payments can assist a worker who is injured while working, those workers’ compensation benefits often do not adequately compensate the injured worker. 4. Premises Liability Issues: Severe injuries can result from unsafe conditions at stores, apartment complexes, businesses and many other locations. Premises liability cases can arise wherever an individual is injured due to the negligence or inattention of a business or property owner. Premises liability cases require advanced knowledge of building codes and other codes and standards. 5. Nursing Home Negligence: Nursing homes do not always provide the level of care that is promised. This type of negligence can involve physical and emotional abuse. If you suspect that you or your loved one is receiving improper care, you should contact an attorney immediately. 6. Medical Negligence: When an individual is harmed by medical carelessness or negligence, significant financial and physical consequences can arise. These consequences can be long-lasting and very costly. Medical malpractice cases are often very complicated and require extensive legal and medical knowledge, and the proper expert witnesses. 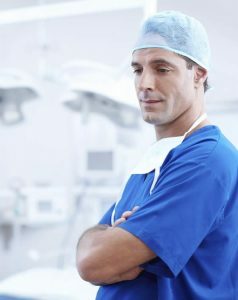 Our firm is prepared to help you take the next steps regarding a possible medical malpractice claim. 7. Product Liability: When a product or device does not work as expected and causes injuries, the injured individual should ensure that they quickly consult with an attorney so that their rights are protected and that they are more likely to be compensated for the losses they have experienced. The legal issues that arise in a product liability case can be wide ranging and require experienced representation which our office can provide. 8. Insurance/Denial of Benefits: If an insurance company fails to meet their obligations to one of their insureds, the insured should immediately seek legal representation. Whether it is a health insurance policy, a homeowner’s policy, or a disability insurance policy, we are well-equipped to determine what steps should be taken to make sure that the rights of the policy-holder are protected and that the insurance company is required to meet its obligations.